While most immediately think of the kindly-faced smiling man on Quaker Oats Porridge, The Religious Society of Friends, also known as Quakers, are a religious group which formed in the 1600’s based on the teachings of George Fox with the central belief that there is a part of God in every person. George Fox, the main founder of the Quakers was born in 1624 in the village of Drayton-In-The-Clay, now known as Fenny Drayton, in Leicestershire. At the age of 18, he had a religious experience during which he became acquainted with what he called the “inward light” of God. He claimed that the light was in every person and that this personal inward experience overruled ecclesiastical institutions and the conventions of the established Church of England. This belief is at the heart of Quakerism and directed the actions of Quakers over the next few centuries and into the modern day. Fox was also was critical of the swearing of oaths and titles and in 1660, in the famous Quaker ‘Peace Testimony’ he committed the Quakers to pacifism and non-violence. Fox began travelling throughout England, preaching and gaining converts to his movement and he and his followers were persecuted and imprisoned multiple times for their beliefs which went against many of the accepted social norms of his time. As the BBC says of Fox’s belief in the ‘inner light’. This was a revolutionary attack on all discrimination by social class, wealth, race and gender and it had worrying implications for the social structure of his time. Quakerism spread throughout these years and Fox travelled across Europe and to the English Colonies in North America where his beliefs would have a massive influence. With the restoration of the monarchy after the English Civil War, the Quakers were further persecuted and Fox set up regular meetings that since have became a staple of the religion, Quakers finally gained religious freedom with the 1689 Toleration Act and when Fox died in 1691, the Quakers numbered over 50,000 strong. The Quakers really made their mark in what is now the U.S State of Pennsylvania, at that time a British Colony. 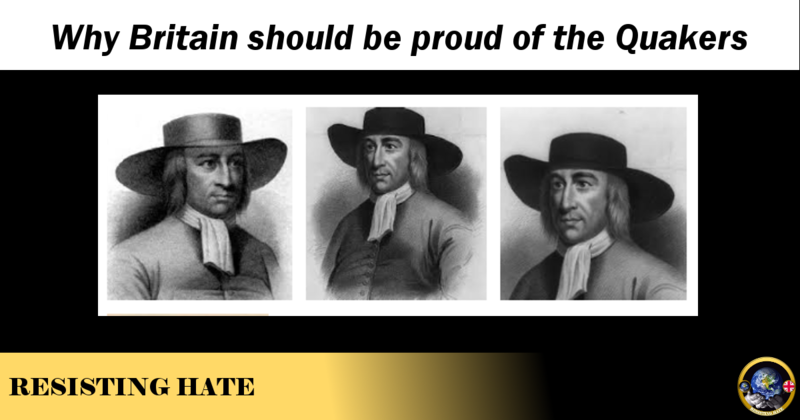 Despite being persecuted in the rest of the colonies, William Penn and other Quakers managed to gain control of Pennsylvania and transformed it into a pacifist state that refused to kill Native Americans and instead befriended them seeing them as equals instead of ‘savages’. Many Quakers also spoke out against slavery in the colonies. One person in particular, a dwarf named Benjamin Lay was a passionate and radical abolitionist and even went as far hiding an animal bladder full of red berry juice inside a bible and taking into a Quaker meeting full of slave owners. After criticising them for their hypocrisy, Lay stabbed a sword into the book, splattering all the owners with the juice which represented the blood of slaves. He was also a feminist, vegetarian and an opposition to the death penalty. A tension eventually developed between the frontiersmen who wanted the scalps of the Natives and the Quakers controlling the colony and eventually in 1756 the Quakers were voted out of power. They had controlled the colony for almost 75 years and had been a brilliant example of humanity and peace in a time of brutality. When America gained independence, Quakers were among the most vocal in calling for abolition and assisting slaves escaping on the underground railroad. Many of the best known and beloved British institutions were founded by Quakers, Due to their beliefs, they were often banned from academia and thus turned their talents to business. Companies such as Clarks, Rowntree, Lloyds, Barclays Bank, and of course the unforgettable Cadbury chocolate makers were all founded by Quakers. Cadbury built the town of Bournville on the outskirts of Birmingham for his workers to live in. He built houses for them and their families and schools so their children could get a good education at a time when both things were difficult to come by, and gave them excellent working conditions. Quakers have always fought for human rights and humanitarian causes. Elizabeth Fry, who was until recently featured on British £5 notes was a Quaker who worked for better conditions for prisoners during the early 19th century. Quakers provided assistance and help to UK residents from Turkey, Germany and Austria-Hungary during the First World war, many of whom experienced discrimination and prejudice. Since fighting obviously clashed with their beliefs, Quakers assisted the war effort in pacifist ways. They set up the Friend’s Ambulance Unit in which volunteers cared for and treated wounded allied soldiers both at home and on the front. They also undertook relief work across Europe, building houses and providing medical and dental treatment for those affected by the fighting. Many also became Conscientious Objectors and were often imprisoned and sometimes executed for their refusal to fight. 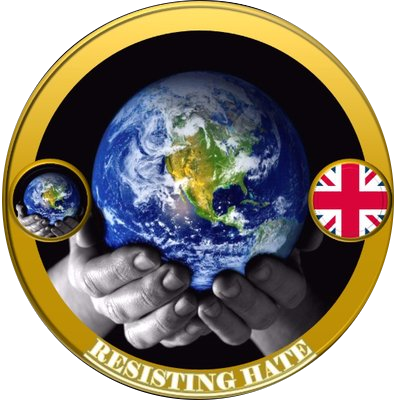 – They would receive recognition for their tireless work for peace when in 1947 the Friends Service Council (The Quakers) and American Friends Service Committee (The Quakers) were jointly awarded the Nobel Peace Prize. The Quakers are in my opinion one of the best things to come out of Britain. Based on the simple, yet beautiful idea that every human being has God within them, they have fought injustice, oppression and inequality and have always sought peace, human rights and tolerance. Today, there are Quakers all across the world but Britain still has the most and yet still many people in our country don’t know much about just how much good the Quakers have done and what an impact they’ve had on many of the things that today make our modern, democratic and equal society what it is. If it wasn’t for the Quakers, our country would be very different. We all owe them, not only more recognition but also a massive debt of gratitude for all they’ve done and continue to do. One of my favourite quotes from the Colonial Period comes from the story of a Quaker called Samuel Bownas who was imprisoned in Long Island in 1702. With him were some Native Americans who he tried to teach about his beliefs and about non-violence. The Native Americans agreed that the Quaker philosophy was good but respectfully disagreed as they had both French and British armies trying to steal their lands by force and therefore said they had to fight. However what they said to Samuel Bownas has stuck with me since I read it. If Bownas had his way, the Native Americans said, “Things will go well in the world.” – I think we can all agree that they were right.